Joining the list of this week’s bad PR moves, the White House has decided to move up the date of the State Of The Union, prompting ABC to push back the season two premiere of Marvel’s Agent Carter. According to Deadline, President Obama’s final (barring the repeal of the 22nd Amendment) State Of The Union address has been scheduled for January 12, which is two weeks earlier than last year’s. 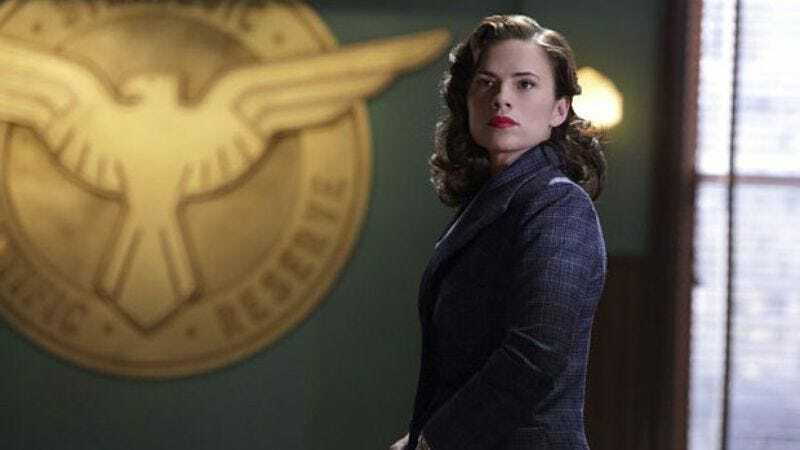 The Agent Carter premiere was originally set for January 5, but ABC was concerned that interest in the show would dwindle if it were preempted so early in the season. We understand the logic, we suppose, but this means that we won’t see Peggy Carter punching her way through Hollywood until January 19. Deadline also posits that, because Agent Carter acts as a segue between the season halves of Marvel’s Agents Of S.H.I.E.L.D., ABC will also have to push back the March 8 premiere of that show. The President’s annual progress report had better have some great news, like forgiveness of student loans or something, to compensate us for throwing our TV-watching schedules into turmoil. In case you were wondering, the rescheduling of State Of The Union won’t affect the season premiere of New Girl, so that’s something.